LANSING, Mich., May 1, 2017 – Region 5 won the Super Team title at the 2017 Women’s Junior Olympic Level 9 Eastern Championships. 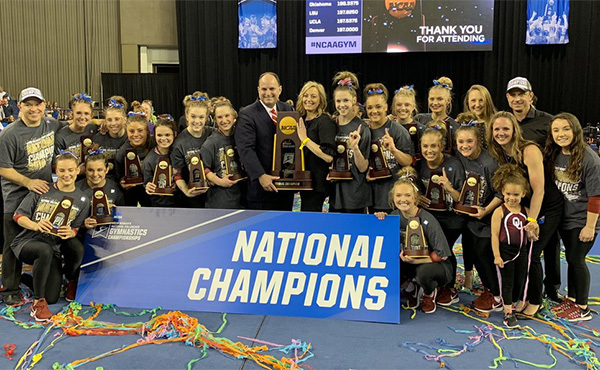 The three-day championships, which showcased 454 female gymnasts, wrapped up April 30 in Lansing, Mich., at Summit Sports and Ice Complex. 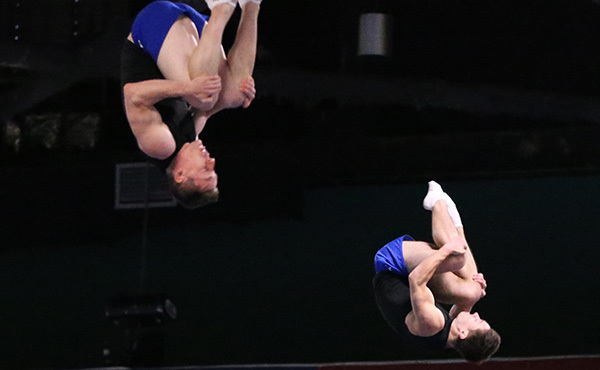 The Junior Olympic Eastern Championships and its sister event, the Junior Olympic Western Championships, are the culmination of the competitive season for Level 9. Region 5 won the Super Team title, with Region 7 coming in second. Region 8 was third, followed by Region 6. Junior 2 – 1. Sophia Esposito, Melville, N.Y./Phoenix Gymnastics, 37.675; 2. Kiley Rorich, Matthews, N.C./Southeastern Gymnastics Center, 37.650; 3. Zoe Fleming, Smyrna, Del./First State Gymnastics, 37.500. Team – 1. Region 7, 150.250; 2. Region 8, 149.700; 3. Region 6, 149.150; 4. Region 5, 148.950. Junior 3 – 1. Jennifer McMillan, Charlotte, N.C./Southeastern Gymnastics Center, 37.950; 2. Alisha Werlen, Hillsborough, N.J./Gymland/Arena Gymnastics, 37.725; 3. Eliana Thompson, Eaton Rapids, Mich./Twistars USA Inc., 37.700. Team – 1. Region 5, 151.150; 2. Region 8, 150.250; 3. Region 7, 149.775; 4. Region 6, 148.175. Junior 4 – 1. Mary McGinty, West Chester, Pa./AJS Pancott Gymnastics, and Shannon Chase, Middlefield, Ohio/Emeth Gymnastics, 37.900; 3. Alexia Xiromeritis, Brighton, Mich./Twistars USA Inc., 37.675. Team – 1. Region 5 151.650; 2. Region 7, 150.450; 3. Region 6, 148.525; 4. Region 8, 147.625. Junior 5 – 1. Gwendolyn Fink, Fort Mill, S.C./Southeastern Gymnastics Center, 37.725; 2. Victoria Gatzendorfer, West Friendship, Md./Southeastern Gymnastics Center, 37.550; 3. Kaitlyn Dembie, Brecksville, Ohio/Gymnastics World Inc., 37.525. Team – 1. Region 8, 150.125; 2. Region 5, 149.650; 3. Region 6, 148.025; 4. Region 7, 147.500. Junior 6 – 1. Katya Sander, Goshen, Ky./Perfection Gymnastics School 37.700; 2. Ella Walling, Clearwater, Fla./Tampa Bay Turners Gymnastics, 37.650; 3. Eliza Millar, Cincinnati, Ohio/Perfection Gymnastics School, 37.575. Team – 1. Region 5, 151.075; 2. Region 8, 150.050; 3. Region 6, 149.300; 4. Region 7, 148.025. Junior 7 – 1. Emma Loyim, Mt. Lakes, N.J./North Stars Gymnastics Academy, 37.900; 2. Sarah Cohen, Olney, Md./Hill's Gymnastics, 37.850; 3. Emily Castiglia, Wanaque, N.J./North Stars Gymnastics Academy, 37.575. Team – 1. Region 7, 151.925; 2. Region 5, 149.225; 3. Region 8, 147.850; 4. Region 6, 143.900. Junior 8 – 1. Anna Winger, Wexford, Pa./Perfection Gymnastics School, 37.800; 2. Madison Kipp, Slate Hill, N.Y./Galaxy Gymnastics, 37.700; 3. Aranya Gilchrist, Asheboro, N.C./High Point Gymnastics Academy, 37.650. Team – 1. Region 5, 150.200; 2. Region 8, 149.450; 3. Region 6, 148.825; 4. Region 7, 147.850. Senior 1 – 1. Sophia Rios, Dewitt, Mich./Twistars USA Inc., 37.900; 2. Sierra Bauman, Wallingfrod, Conn./Connecticut Gymnastics Academy LLC, 37.800; 3. Lillian Cadwell, Indianapolis, Ind./The Gymnastics Company, 37.525. Team – 1. Region 5, 150.225; 2. Region 8, 148.725; 3. Region 7, 147.450; 4. Region 6, 146.225. Senior 2 – 1. 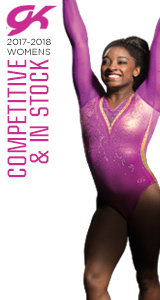 Izzabel Geig, Doylestown, Ohio/Gymnastics World Inc., 37.925; 2. Katie Kowalski, Freeland, Mich./Mid-Michigan Gymnastics, 37.575; 3. Amy Ziegenfelder, Gainesville, Fla./Sun Country Gymnastics, 37.375. Team – 1. Region 5, 150.575; 2. Region 8, 149.100; 3. Region 7, 148.750; 4. Region 6, 148.075. Senior 3 – 1. Kelsey Kollhoff, Miamisburg, Ohio/Gym-Nation, 37.600; 2. 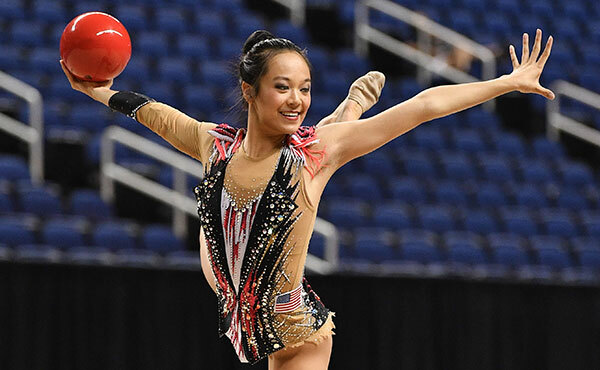 Connie Hsu, Franklin, Tenn./Let It Shine, 37.575; 3. Emily Kirkham, Poplar Grove, Ill./Gymnastic Academy of Rockford, 37.400. Team – 1. Region 5, 149.425; 2. Region 7, 149.300; 3. Region 6, 149.100; 4. Region 8, 147.900. Senior 4 – 1. Rebekah Lashley, Millville, Mass./Elite Gymnastics Academy, 37.900; 2. Katarina Olsen, Arlington, Va./Capital Gymnastics National Training Center, 37.775; 3. Erin Desmond, Elkton, Md./First State Gymnastics, 37.650. Team – 1. Region 5, 149.650; 2. Region 7, 149.525; 3. Region 6, 148.975; 4. Region 8, 148.950. Senior 5 – 1. Jordan Keller, Centreville, Va./GMS Gymnastics Institute, 36.975; 2. Lauren Puscheck, Naperville, Ill./Phenom Gymnastics, and Macy Risk, Madison, Ind./Madison Gymnastics World, Region 5, 36.950. Team – 1. Region 7, 147.850; 2. Region 6, 147.675; 3. Region 5, 147.575; 4. Region 8, 145.400. Senior 6 – 1. Liana Roman, Meriden, Conn./Connecticut Gymnastics Academy, 37.425; 2. McKenzie McClarney, Greenwood, Ind./Wright's Gymnastics Academy, 37.400; 3. Alyssa Worthington, W Warwick, R.I./Aim High Academy, 37.350. Team – 1. Region 5, 149.525; 2. Region 7, 148.350; 3. Region 6, 147.625; 4. Region 8, 146.650. Senior 7 – 1. 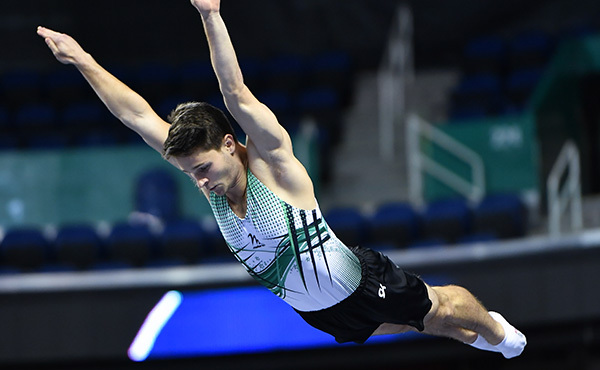 Jensen Todd, Utica, N.Y./Valley Gymnastics Training Center, 37.475; 2. Jade Martin, Tampa, Fla./Tampa Gymnastics and Dance, 37.350; 3. Nicole Jackson, Wheatly Heights, N.Y./New Image Gymnastic Academy, 37.275. Team – 1. Region 5, 148.525; 2. Region 6, 147.975; 3. Region 7, 145.750; 4. Region 8, 145.400. Senior 8 – 1. Olivia Kavanaugh, Indianapolis, Ind./Wright's Gymnastics Academy, 36.975; 2. Madison Lord, Suwanee, Ga./Gymnastix Training Center, 36.700; 3. Makenna Lee, Huntsville, Ala./Huntsville Gymnastics Center, 36.675. Team – 1. Region 7, 147.050; 2. Region 5, 146.825; 3. Region 8, 145.650; 4. Region 6, 145.125. 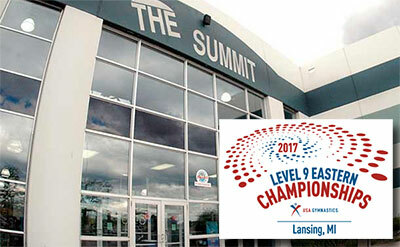 The Greater Lansing Sports Authority and Gedderts’ Twistars USA organized the very successful 2017 Junior Olympic Eastern Championships, which featured the top seven Level 9 gymnasts from USA Gymnastics Regions 5-8 in 16 age divisions, which are determined by birth date. The states that comprise each region are: Region 5 – Illinois, Indiana, Kentucky, Michigan, Ohio; Region 6 – Connecticut, Maine, Massachusetts, New Hampshire, New York, Rhode Island, Vermont; Region 7 – Delaware, Maryland, New Jersey, Pennsylvania, Virginia, West Virginia; and Region 8 – Alabama, Florida, Georgia, Louisiana, Mississippi, North Carolina, South Carolina, Tennessee. 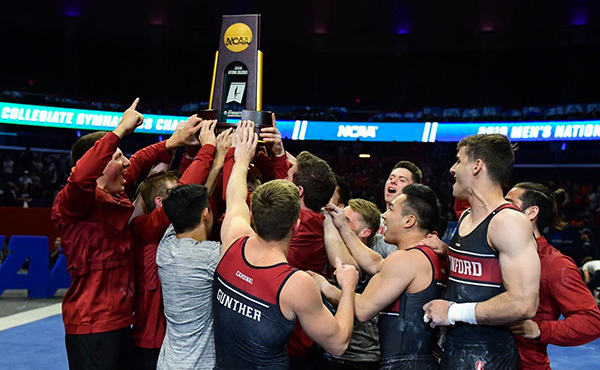 Many Junior Olympians have gone on to make the U.S. National Team and represent the United States in international competition and/or to compete in collegiate gymnastics.